A new week is here. Full of promise and new beginnings and all that. There's just no time to waste, so let's get to it, yeah? Tom Cruise stars in an exceptionally good-looking sci-fi drama in which he seemingly has the perfect post-apocalyptic life imaginable. Turns out he doesn't, though. Bruce Willis endures some airport trouble. Harrison Ford is charged with the murder of a lover and swears he didn't do it. No, it's not The Fugitive. 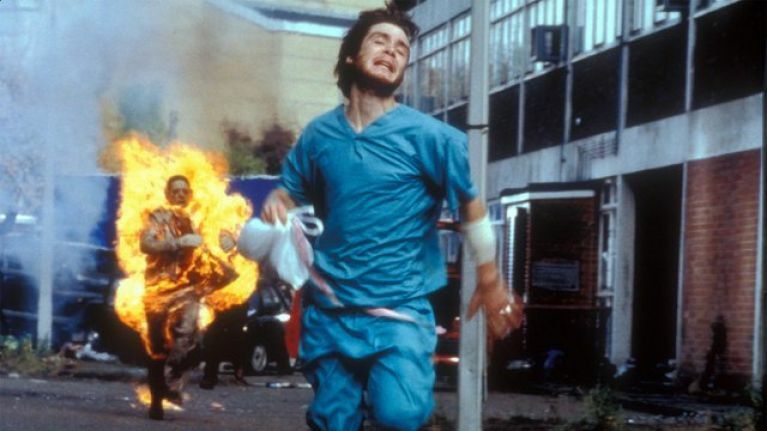 Cillian Murphy wakes up in a very upsetting vision of London before fighting for survival in Danny Boyle's zombie-inspired dystopian walkabout. Denzel Washinton and Ryan Reynolds face off in a generic enough thriller that is worth your attention simply for having Denzel in it. If you can't sleep, you may as well check out Ethan Hawke as he wrestles with his conscience upon being tasked with controlling military assault drones.